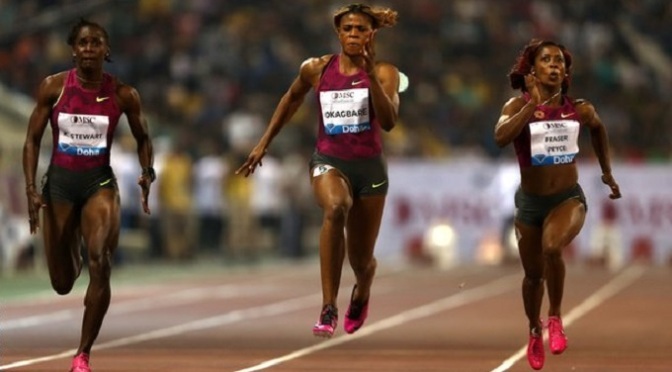 The Qatari capital Doha will stage the 2019 World Athletics Championships after beating rival bids from Barcelona and the American city of Eugene. It has been suggested the event runs from 28 September to 6 October to avoid the extreme heat of Qatar’s summer. Qatari officials say temperatures are lower then than in May, when Doha stages its annual Diamond League event. “We had a dream for organising such an event for a long time,” said Doha’s bid leader, Dahlan al Hamad. Doha wanted to stage the 2017 championships but lost out to London. However, the decision to award the championships to Qatar has been criticised by some politicians in Britain. Labour’s Shadow Minister for Sport, Clive Efford, said: “The IAAF must be aware of the scandal of the treatment of migrant workers in Qatar. The 2015 World Athletics Championships take place in Beijing from 22-30 August, while London’s 2017 event is also scheduled for August. Qatar is also due to host the Fifa World Cup in 2022 and Doha’s refurbished Khalifa International Stadium – also a World Cup venue – will be the main arena for the championships.